The day she conquered her fear! 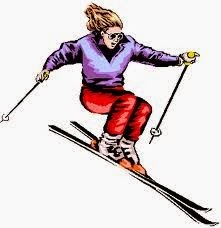 Skiing was Alicia’s passion,a native of Alaska,she was trained from her childhood days. She stood there with the cold breeze hitting her face, for the first time in a year after the accident which left her paralyzed down, she had mixed feelings,she was nostalgic and afraid she would fail in something she loved more than her own life. After a lot of painful therapy, she could barely stand,but the skiing competition was something,she did not want to give up,not for anything, even for the pain she was enduring. At the gun shot, all the competitors brushed away, Alicia knew, patience was the key, she slowly made her way through the ice. At the point when her eyes were laid on the red flag, she fearlessly skied her way through other competitors,she knew she had conquered her fear, at that point neither did she fear failure nor did she feel the pain that was shooting through her veins, all she could see was the red flag, her goal.